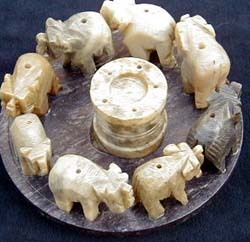 This 4" Soapstone stick holder has a parade of elephants in a circle. Will hold up to 13 sticks. Designs and color may vary.